Westminster jumped out to a quick 4-0 lead, before the Bears took a 7-6 lead. After that, Plainview found themselves in unfamiliar territory, trailing Westminster most of the 1st period, before tying things up at 11 late in the 1st period. By the end of that period Plainview was leading by a score of 14-11. Westminster played a very tough 2nd period and a strong defense, guarding the perimeter to cut down on the Bears 3 point shooting. Plainview hit 0 out of only 8 attempted 3 point shots in the first half. Westminster, however, was unable to keep up with the Bears fast attack and 2 point shooting. By halftime Plainview had 32-25 lead. In the first half, the Bears were lead by Caden Millican with 11 points and Kobe Tinker with 10 points. Plainview came alive with their 3 point shooting, hitting several in the 3rd period, lifting the Bears to a 44-30 lead midways in that period. By the end of the 3rd, the fatigue was noticeable for Westminster and Plainview was able to extend their lead to 50-39. Westminster found a second wind and started mounting a comeback midways in the 4th period getting within two, 52-50, with 1:08 left in the game. With 30.1 seconds left, it was tied at 52 all. 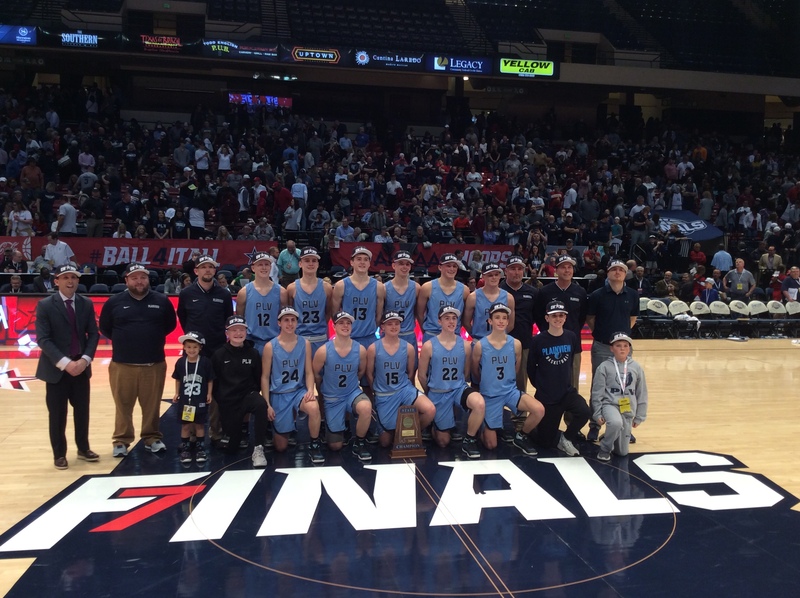 With the finals seconds ticking off the game clock, Caden Millican made the game winning lay up to propel the Bears to their second state championship. Final score Plainview 54, Westminster 52.